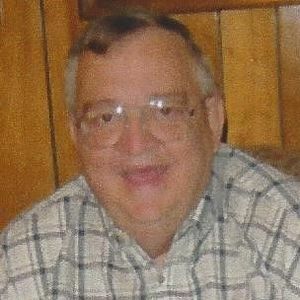 GREENVILLE - Gerald "Jerry" Liles, 71, of Greenville, died Tuesday, December 25, 2018, at 3:02PM under the care of Hospice of Western Kentucky. Mr. Liles was born September 26, 1947, in Muhlenberg County. He was an electrician at TVA and a member of East Union Missionary Baptist Church. He was also a member of Greenville Masonic Lodge and was a U.S. Army veteran. He was preceded in death by his son, Steven Liles; and brother Joe Liles. He is survived by his wife, Judy Vincent Liles; grandchildren Kaylee Ann Liles, Cody Liles, and Aaron Damme; daughter-in-law Melissa Liles; and brother Bob Liles. Funeral services will be Saturday, December 29, 2018, at 1:00PM at Tucker Funeral Home in Central City, with Rev. Joe Chambers officiating. Burial in Oak Grove Cemetery. Visitation will be Friday after 5:00PM at the funeral home. Online condolences may be made at www.tuckerfuneralhomes.com. Gerry my Vietnam buddy, it's hard for me to believe you have gone through The Pearly Gates. I'm going to miss conversing with you and jabbing each other about the different states we live in. Every time I play a game of hearts I remember how you always beat me when I was learning because I failed to pass hearts, and you laughed. All your aches and pains are gone now and you are with the Lord. I wish I would have got to see you one more time before you went to your heavenly home. You finally get to see your son again. Thank you for being so good to me and my family. You were more than a neighbor, you were family. Judy & Family. Our thoughts & prayers are with you all during this time. I always appreciated Jerry's sense of humor & his dedication to his faith & Family.